Earlier Monday, human resources experts said the situation was a volatile one that risked angering people on both sides. After a controversial memo by a Google engineer about diversity programs at the company and gender differences went viral over the weekend, sparking an explosive reaction on social media, the search giant did not dispute media reports late Monday that the employee had been fired. 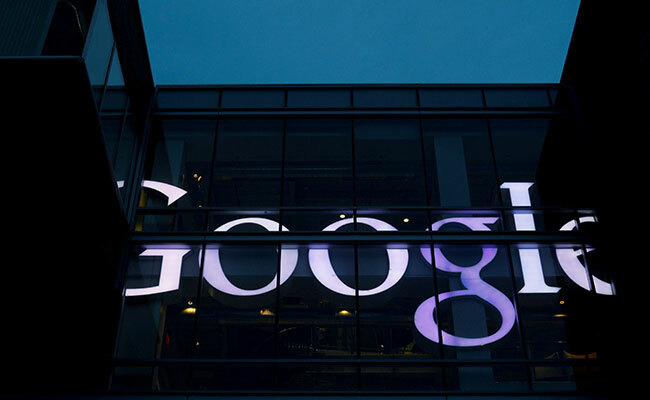 The memo - in which the author suggested, among other things, that biological factors were part of the cause for the gender gap in the tech industry and that Google should "stop alienating conservatives" - prompted a fiery outcry on social media in recent days. Critics pounced on statements about biological differences such as women, on average, having "lower stress tolerance" or how Google needs to "de-emphasize empathy." Others, including fellow Googlers, according to the author, defended his remarks, leaving Google's human resources shop between a rock and a hard place regarding how to respond. Yet on Monday, following an email from Google chief executive Sundar Pichai that "portions of the memo violate our Code of Conduct and cross the line by advancing harmful gender stereotypes in our workplace," Bloomberg News reported that the employee had been terminated. A spokesman said the company does not comment on individual employees but did not dispute that the memo's author was fired. Earlier Monday, human resources experts said the situation was a volatile one that risked angering people on both sides. "I'm glad when I woke up this morning I wasn't the head of HR at Google," said Brian Kropp, who leads the human resources consulting practice at CEB. "If you think about the continuum of the workforce, you've got one end where people are going to say this person should be fired," Kropp said, while on the other end, there appear to be employees who may agree with his remarks. "Whatever Google decides to do, they're going to be potentially disappointing somebody along one of those groups or making them angry." Danielle Brown, who became the company's vice president for diversity, integrity and governance just weeks ago, and other Google executives put out a statement expressing their disagreement with the essay. Brown wrote in an internal response that "like many of you, I found that it advanced incorrect assumptions about gender" and that "we are unequivocal in our belief that diversity and inclusion are critical to our success as a company." Ari Balogh, vice president of engineering at Google, wrote in a statement that "sharing different perspectives is an important part of our culture," but "one of the aspects of the post that troubled me deeply was the bias inherent in suggesting that most women, or men, feel or act a certain way. That is stereotyping, and it is harmful." Other Google leaders commented, too. By late Monday, Pichai had added his name to the executives weighing in publicly against the memo. With the subject line "our words matter," he opened by saying that "we strongly support the right of Googlers to express themselves, and much of what was in that memo is fair to debate, regardless of whether a vast majority of Googlers disagree with it." But "to suggest a group of our colleagues have traits that make them less biologically suited to work is offensive and not OK. It is contrary to our basic values and our Code of Conduct." He went on: "Our co-workers shouldn't have to worry that each time they open their mouths to speak in a meeting, they have to prove that they are not like the memo states, being 'agreeable' rather than 'assertive,' showing a 'lower stress tolerance,' or being 'neurotic.' " He also said that "at the same time, there are co-workers who are questioning whether they can safely express their views in the workplace (especially those with a minority viewpoint). They too feel under threat, and that is also not OK."
Human resources experts said Monday that keeping the engineer would have made it harder for managers to assign him to collaborative work teams. "He can think what he thinks, but he can't say things like that in a workplace and not expect others to be uncomfortable with working with him," said Jonathan Segal, a Philadelphia-based employment lawyer. Yonatan Zunger, a former Google executive who wrote a widely read post about the memo published on the platform Medium, addressed the memo's author by saying, "Do you understand that at this point, I could not in good conscience assign anyone to work with you?" He added: "I certainly couldn't assign any women to deal with this, a good number of the people you might have to work with may simply punch you in the face, and even if there were a group of like-minded individuals I could put you with, nobody would be able to collaborate with them." Others suggested it could have been a distraction. "In the hallways, people are going to chatter about whose side are you on," said Patty McCord, a former head of human resources at Netflix who is now a consultant on leadership and culture issues. "It will drive a wedge even deeper into what they're trying to do." Google was the first major tech company to publicly share its diversity statistics, a practice many companies followed, but growing those numbers has been slow, and the company faces a Labor Department investigation about its gender pay practices. It recently began trying to boost its number of black engineers through a partnership with historically black colleges and universities. The important thing, McCord said, is that the company do something in response. "We can sensitivity-train until hell freezes over," she said. "But unless there's consequences to it, it doesn't matter."